After serving is the U.S. Army during WWII, he received one of the first Fulbright Fellowships in 1949. A decade later he became closely associated with Beat writer William S. Burroughs. 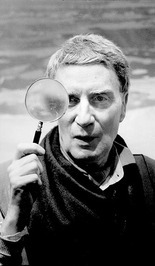 Their popularization of the Dadaist "cut-up technique" are the primary source of Gysin's literary fame.